I have an anniversary quilt I am putting together for friends celebrating 5 years. 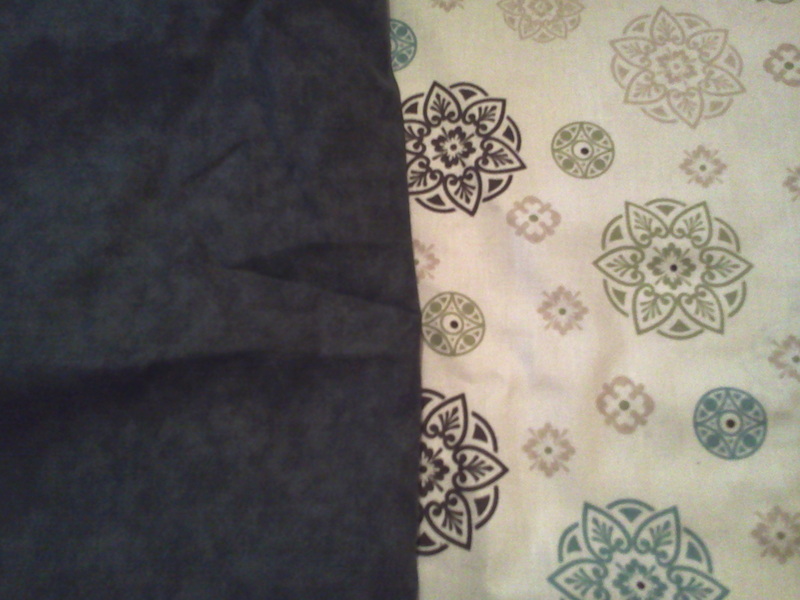 The fabric with the blue, green and brown designs is the the background, but I am having trouble choosing a fabric for the silhouette I am going to applique onto it. I am on a VERY tight budget, so what you see is what I have. What would you do? Dresdens would compliment the back ground fabric especially since you're going to applique. I realize you said that you're on a budget, but I would go with a white or off-white or even a pale gold for the background. I think the background is too busy for a silhouette quilt. Just my opinion. I looked up some pics of silhouette quilts & most have a light, "un-busy" background. I like "A" .... Love to see the finished project when you get it done . A for a very soft look. C (my preference) for a more traditional silhouette but still on the soft side. D is a little darker? Hard to tell actual shades on the computer screen. Good luck, lovely idea for a gift. Normally I would agree but the friend i am making it for specifically requested this as the main fabric, apparently she and the husband to be really liked it. I like the last choices the best. 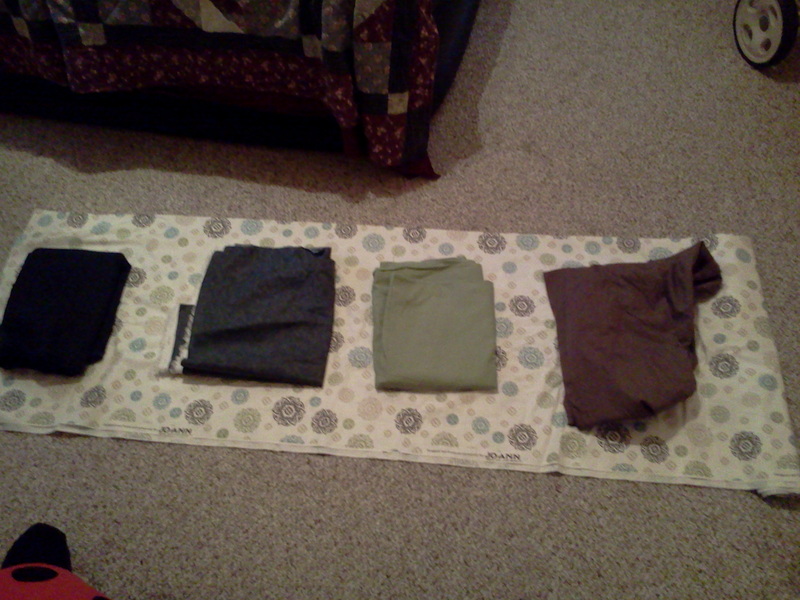 I lean toward the third fabric, but I also think any of these would look good. What a nice thing you are doing for your friends. I like the background fabric. 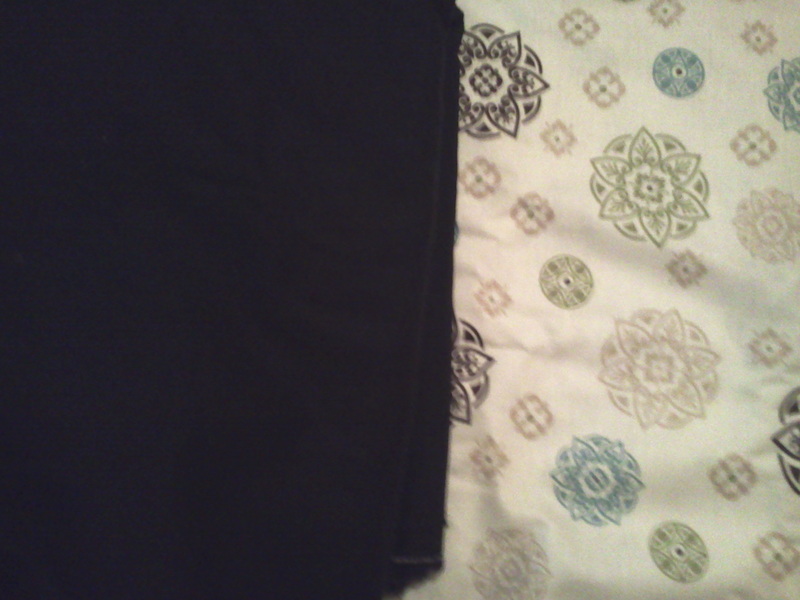 I like the third fabric the best. It looks like it is a black marbled batik? The solid black would be my second choice. I like the sagey green best. Enough contrast to show the silhouettes - but soft like the background. Families are like old quilts....although they tend to unravel at times...each can be stitched back together with love. 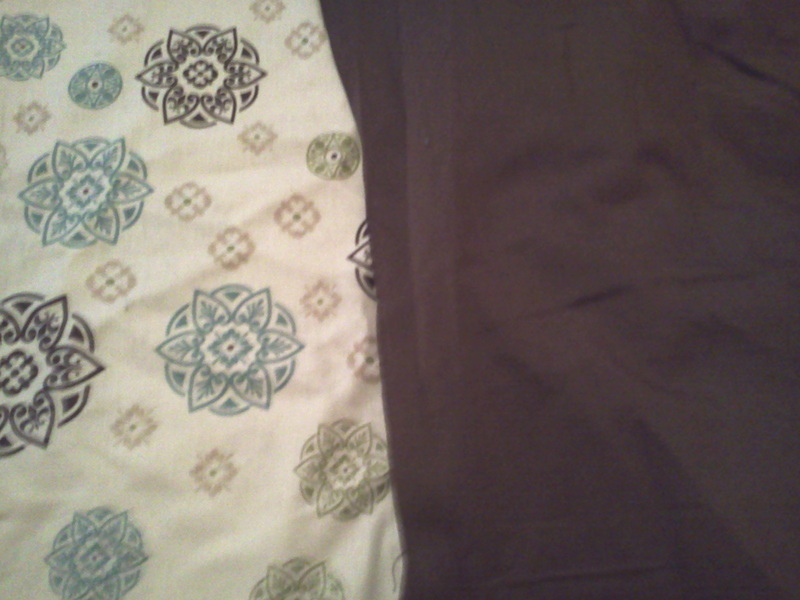 Either the second or third one seem to fit best with the background fabric. I like the black.....most silhouettes I've seen are done in black. I would eliminate the green. While it plays nicely with your background if you were piecing, I don't think it is the right choice for an appliqued silouette quilt. If a portion of the silouette lands just right on one of the green circles (which are so tightly spaced it would be impossible not to land on one) it could start playing tricks with your eyes and distort your silouette. I think the black or the gray are your best bets. I would lean towards black just because it will bring the silouette into sharp relief against the patterned background and from a distance will not fade into any of those design elements in the background fabric. Any of your lighter colors would do that and you may lose the impact of the silouette. I like the green. Very soft and subtle. Tis things like this that keep me from letting my friends know I am making them something. Nothing like a ton of "help" that just doesnt fit with your vision or budget! I finally told my best friend "You trust me to do something beautiful, trust me to pick the colors that will best accent the design as well" So far she hasnt been disappointed. Good luck, cause I know it is difficult to work on something you would not naturally select. After looking at the site provided, I think the fabric will work for the background. There are some beautiful pieces that have very textured backgrounds. If the background needs calmming maybe a border or lattice work in the same color as the sillouettes will work. As far as which color, I think anything that provides a high contrast will work. I don't think I would use a fabric that "matched". I really like C or #3. It is between the darkest and medium value figures in the background and works well with the background fabric. 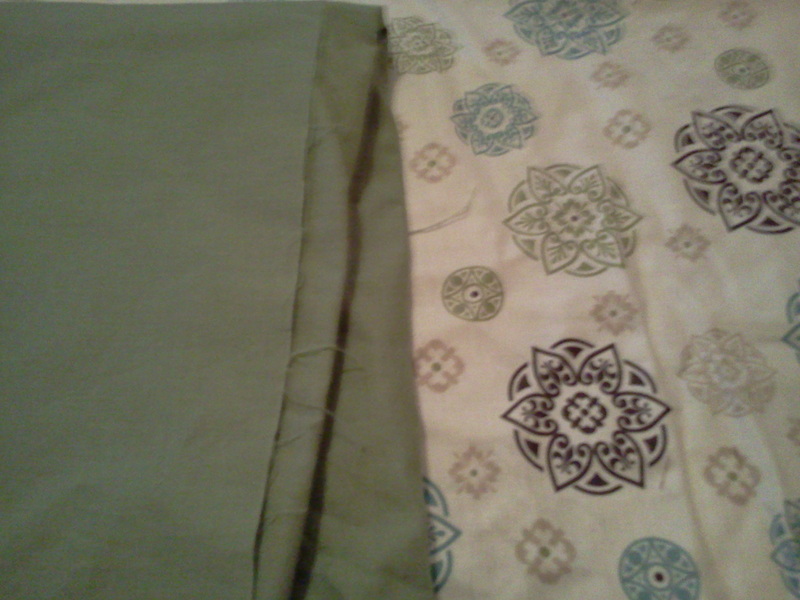 On my screen the green echoes the green in the background fabric if they are wanting a more subdued piece. Looking forward to pics of your finished piece. What a wonderful gift you are giving your friends! I like C the marbled gray. I think it would give the quilt a modern feel. I am always to leery to ask questions like that here. The answers will vary so much. If they're isn't a general consensus in opinions you're right back where you started. I copy my fabric or scan it in and print it. Then I print them out and cut out a sample simple shape and judge what to use that way. It's always nicer to get as close to finished example as possible. Good luck with your project. That is a great idea! I am TOTALLY going to do that! All would work. I lean to the 1st, then 3rd most.